The roughly 38,000-square-foot Crosby School has been on the real estate market since 2013. 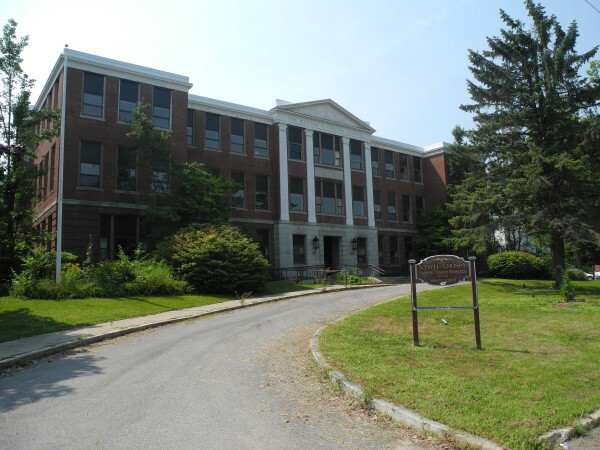 BELFAST, Maine — Just two months after Waterville real estate developer Paul Boghossian confirmed he had a purchase-and-sale agreement for the long-vacant Crosby School in Belfast, the deal apparently is off. Efforts to contact Boghossian, known for his multimillion-dollar restoration of the historic Hathaway Mill in Waterville, have not been successful. Kittredge said he doesn’t want to speculate about reasons why the option lapsed. An environmental report issued Oct. 9 by Portland-based Ransom Consulting indicated that hazardous materials, such as asbestos, lead paint, universal wastes and mold, were found on the property. The city of Belfast paid for the survey using some of the grant money from the Environmental Protection Agency’s Brownfields Program to do so, Kittredge said. “The mold is potentially the biggest issue identified,” Kittredge said, adding that he doesn’t believe the environmental report is the sole reason the option on the property lapsed. The Crosby School on Church Street, built in 1923 as the city high school with funds raised by individual and city contributions, has had an interesting past. It was featured in the 1957 movie Peyton Place and remained a school until 1993. A few years later, the city sold the building for $200,000 to the National Theatre Workshop for the Handicapped, a New York City-based organization that reportedly spent $3.5 million to add theaters, lounges, apartments and an elevator to the building. A few years ago, after it had fallen into disuse by the theater company, Belfast residents complained the structure was not being maintained properly. When the theater workshop defaulted on a $700 sewer bill in 2010, the city foreclosed on the property. It was returned in 2011 after Belfast City Councilors decided the workshop had made a good-faith effort to repair and maintain the landmark structure. The land and building most recently were assessed by the city at $2.7 million. The workshop put the building up for sale in 2013, and last year it was listed at nearly $2 million. Boghossian told the BDN in August that after the price dropped to less than $1 million this year, he decided the numbers would work to redevelop it. He said then that the 38,000-square-foot school likely would be converted into no more than 35 apartments. 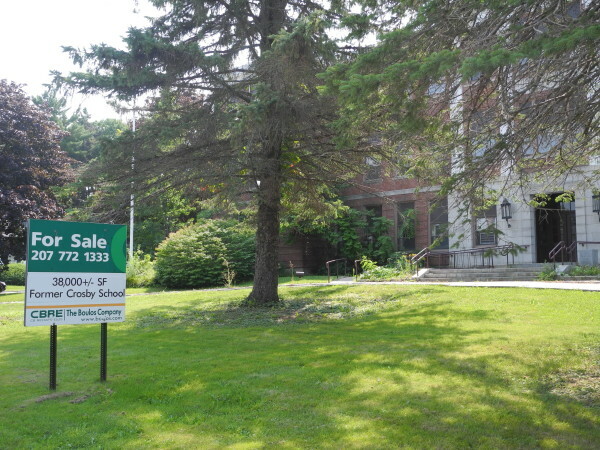 Kittredge said the city of Belfast probably will reach out to the owners of the Crosby School to see whether they want to do additional environmental assessment work. The property owners have spoken with Belfast City Councilors about the possibility of putting the building up for auction, Kittredge said.